sailboat. 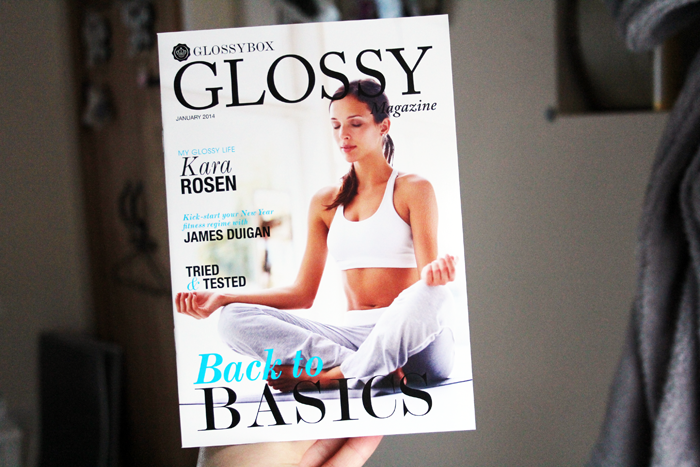 : January 2014 GlossyBox: Back To Basics. 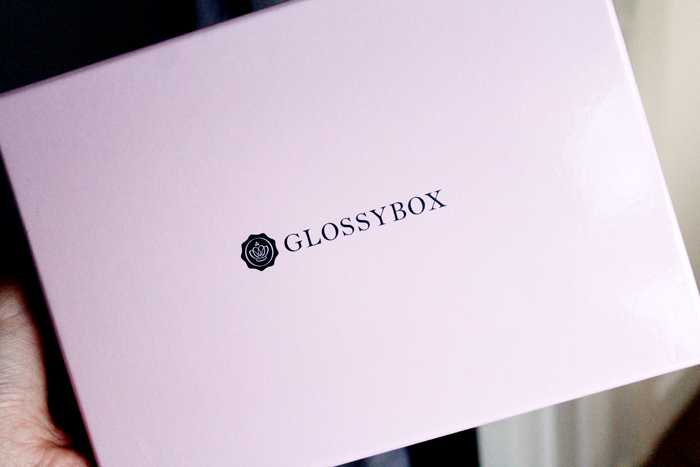 After a little bit of a redesign the GlossyBox boxes are now actually glossy. It's a little change but it's quite a nice one & the box now feels that little bit nicer to hold. Sometimes good first impressions go a long way. I've had a little tube of this in the past from a Cult Beauty order and I think it's somewhere in my skincare stash having been forgotten about. This is a multi-use cult moisturising cream from Japan that promised to revamp skin by enriching it with vitamin e, vitamin b2, camphor and glycerine. This isn't something I'm overwhelmingly excited by especially because the little tubes are tiny, but I'll certainly give it a try and see if it makes a difference to my skin. 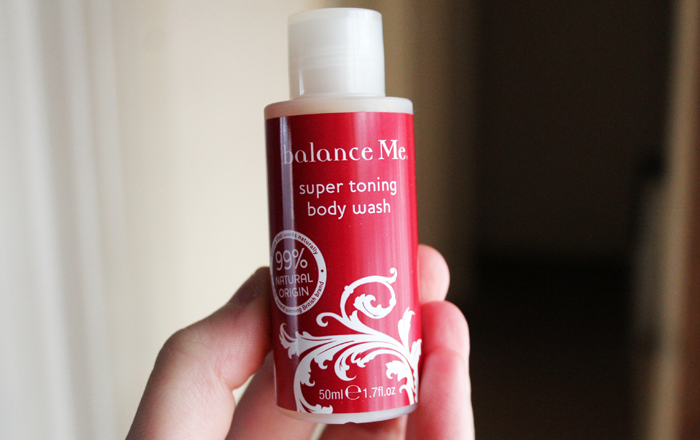 Balance Me are a brand I'm fairly familiar with and everything I've tried from them, I have really enjoyed using. This body wash has a blend of juniper, bergamot, geranium and lavender essential oils that can be used either as a shower gel or as a bath soak by adding a cap full under a running bath tap. The scent is one I really like, it's one of those that smells really warming and I think it would be a nice way to start the day so I'm looking forward to giving it a try. 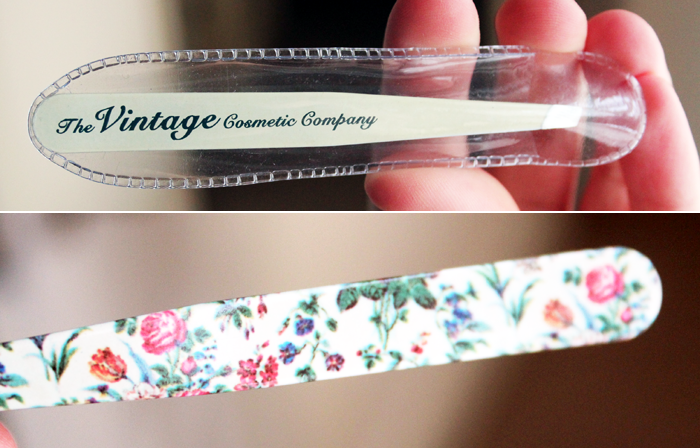 A good pair of tweezers is always handy to have, especially when they're as pretty as these are. These look fairly precise and although I don't think they'll be replacing the pair of tweezers that I already have & love, I don't think it will be too difficult to find these a home with someone who may really like using them. This is possibly in contention for the best named product I've ever come across, Anatomicals are always on the ball when it comes to names. I've tried quite a few products from this brand through GlossyBox in recent months and they're quite a nice all-round brand. I don't think these are something I'm likely to try in a hurry. They promise to reduce the appearance of fine lines, wrinkles and revitalise the delicate eye area. They recommend leaving on for around 30 minutes and to be honest, I'll probably just forget to use them so I think I'll be passing these along for someone else to enjoy. At just over £1 each Montagne Jeunesse masks are amongst my favourites to use so I'm really pleased with these and I think they're my favourite things in the box this month. I know they're not particularly luxury, very difficult to get hold of or expensive, but I enjoy using them and the blemish mud masque is something my skin desperately needs at the moment. I shall be slapping this on during my bubble bath this evening for a little bit of much needed relaxation and the thought of that is getting me through this very long Thursday morning! The samples inside this box are worth around £19 altogether. I don't tend to judge a box by how much the contents are worth, but instead by how much use I'm likely to get out of the products themselves. So overall the January Glossybox is a fairly nice one, there's nothing particularly outstanding inside but everything will definitely get used or be passed over to someone who will. I do kind of wish there was one outstanding item inside, but I'm not disappointed either. What do you think about this month's box? Those tweezers are so adorable! And it looks like you got some other adorable things jennie like those masks, I've always wanted to try those. 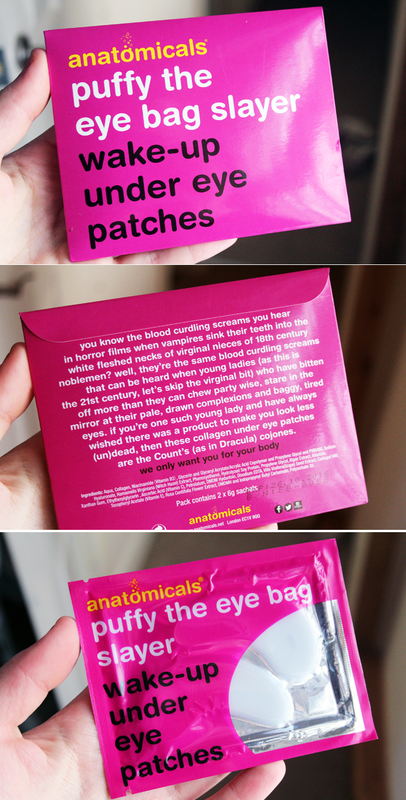 I really like the sound of the under eye patches but overall I'm not blown away by this box! I hope Glossybox starts to work harder, they have some stiff competition. Looks like the sort of box that you could have a pamper with.. Have a bath and use the body wash, Use the moisturisers afterwards.. Tame your brows, then use the facemasks and under eye patches while you relax and read a book/watch a film! I'm not subscribed to GB however if I got this box at least I would be happy knowing I would get use out of everything! 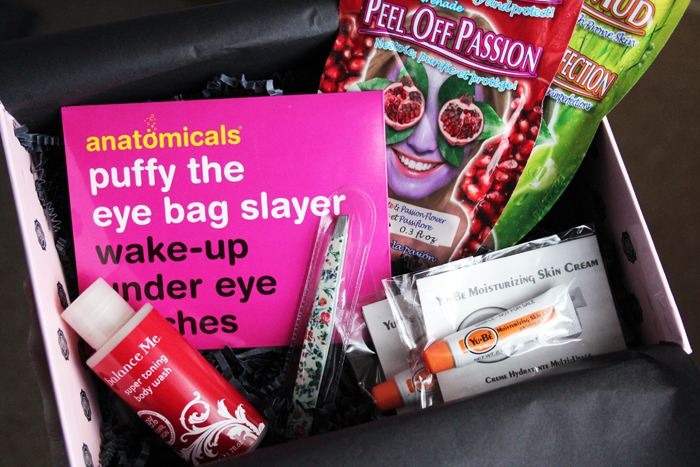 Doesn't look like an amazing box this month but I do like the sound of those under eye patches! This actually looks like the best box I've seen so far! I don't think I'd be too happy with this box, but mainly because I already own the tweezers and the Balance Me. body wash! I think they need to go back to using more unknown or expensive brands too, everyone knows of the Montagne Jeunesse masks! I'd love a Glossybox but I think sometimes the value for money is poor especially when they are putting in items that I could get from my local Tesco. Montagne Masks? Are you being serious?! The most craptastic box so far - mine were ALL sample sizes and who hoo I got the luxury brand Vaseline! 2 x Japanese cream samples = 6ml total, 2 x eye patches, 1 x shower gel 50ml, 1 x body lotion 50ml and a pair of tweezers that don't tweeze! I've voted with my unsubscribe button. Sorry you were disappointed, they are very hit & miss. I am so happy I've unsubscribed from Glossybox last year, seriously I wouldn't be impressed with this box at all! I got the same apart from the eye masks. Instead I got Vaseline body moisturiser. Very luxury. 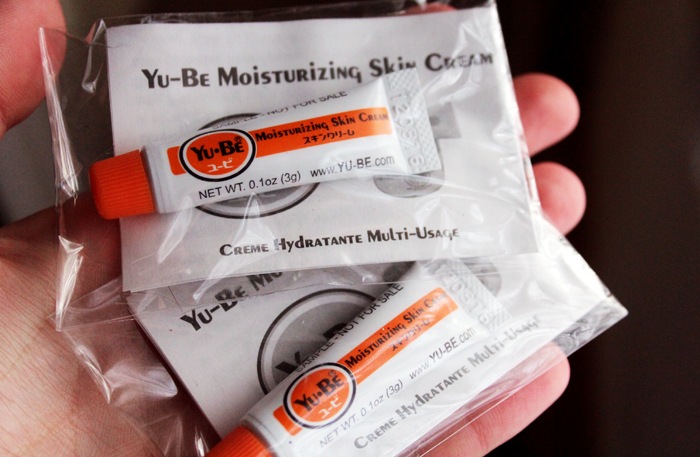 The little tubes of Japanese moisturiser smells and tastes awful and I don't like the new boxes. I also can't reuse the ribbon as it is now cheap with 'Glossybox' emblazoned on it. Very disappointed. I'll be getting my free boxes with my points and cancelling. Absolutely love using face masks! I'm not subscribed to Glossybox, but it looks great. 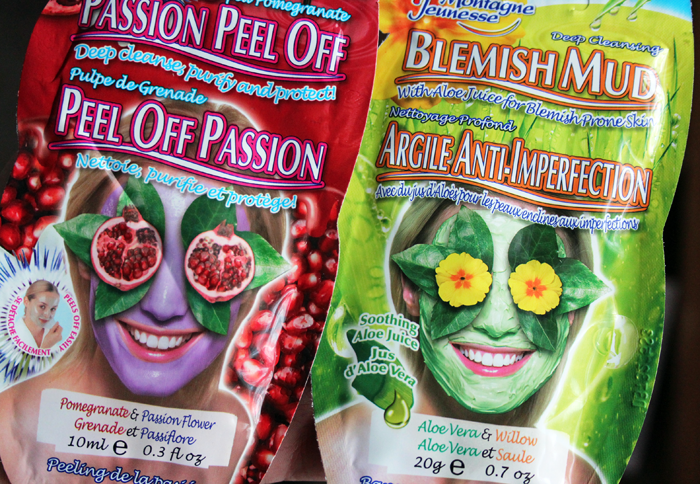 Love the floral tweezers and the masks. Anybody else remember them saying that? I think they are being outdone by birchbox and other companies so are trying to get some money back by sending out rubbish small samples i could get free over the counter! I'm just here to share my thoughts,I don't work for them or anything so I can't give you any kind of answers but I'm sorry that you were disappointed!